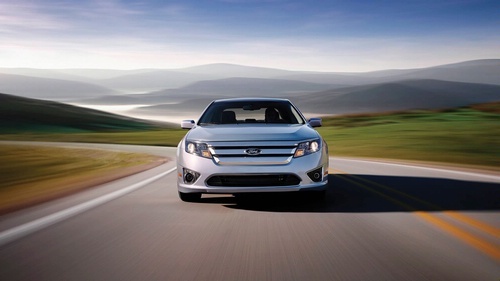 Ford has publicized the Fusion Hybrid and Transit Connect has been named the North American Car and Truck of the Year. As predictable, the Fusion Hybrid won tribute for its attractive styling, advanced power train, and stellar fuel efficiency (it is rated at 41 mpg city / 36 mpg highway). It beat out the Buick Lacrosse and Volkswagen Golf/GTI. The real upset was the Transit Connect winning North American Truck of the Year. It faced stiff competition from the Chevrolet Equinox and Subaru Outback, but ultimately won despite being a commercial-oriented vehicle. Because you may recall, a panel of 49 automotive journalists (from Canada and the United States) select the winners from a lengthy list of contenders which includes “all-new” and “substantially updated” models.